1.// Pineapple Swimsuit cover up. 2.// Watermelon Serving Bowl. 3.// Kiwi Throw Pillow. 4.// Apple Lip Balm. 5.// Wooden Fruits play food. 6.// Strawberry Studs. 7.// Watermelon Vans. 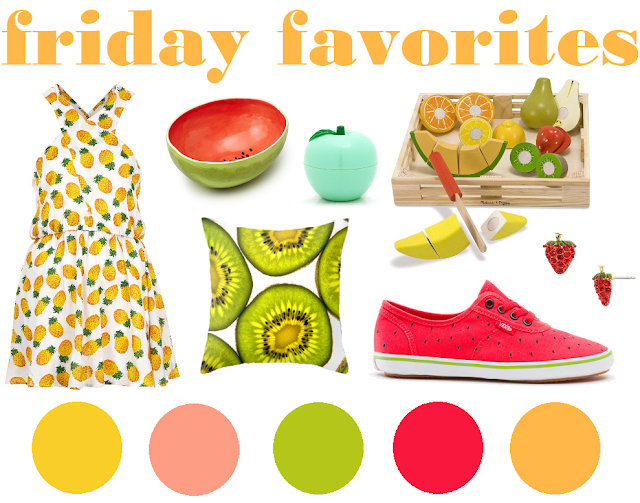 Since I've been obsessing over fruit this week I thought it would be cute to do a Fruit Edition of Friday Favorites. I found some super sweet clothing, accessories, and decor that made me swoon! I'm especially in love with the pineapple swim cover from Topshop, how freaking adorable?! Fruit prints make me happy! You know what else makes me happy? The following links! Check out my favorite happenings this week! // My dear friend Sandra from Anchors and Honey finally announced on her blog that she's pregnant with baby number three! How exciting!? I'm already thinking up handmade gifts! Check out her beautiful announcement here! // This Kool-Aid Dip Dye Tassel tutorial from One Sheepish Girl looks like a fun summer craft for me and the little lady, how cute would it be to make garland out of this!? // OneTenZeroSeven's watermelon round up for The Five WOWs made my heart pitter patter, and so appropriate for this week! // This Peach+Melon smoothie recipe sounds fruity and delicious! Miss Indie always posts the greatest drink recipes, this one is so perfect for summer! What have you been loving this week?! I really love those watermelon vans! So cute!! Those vans are amazing! ♥♥ I need a pair. I also love the pinapple cover up. Fun! I love all these fruit themed items! We've been having a rainy week in Seattle (until today!) and something about it has been making me really love wooden accessories. 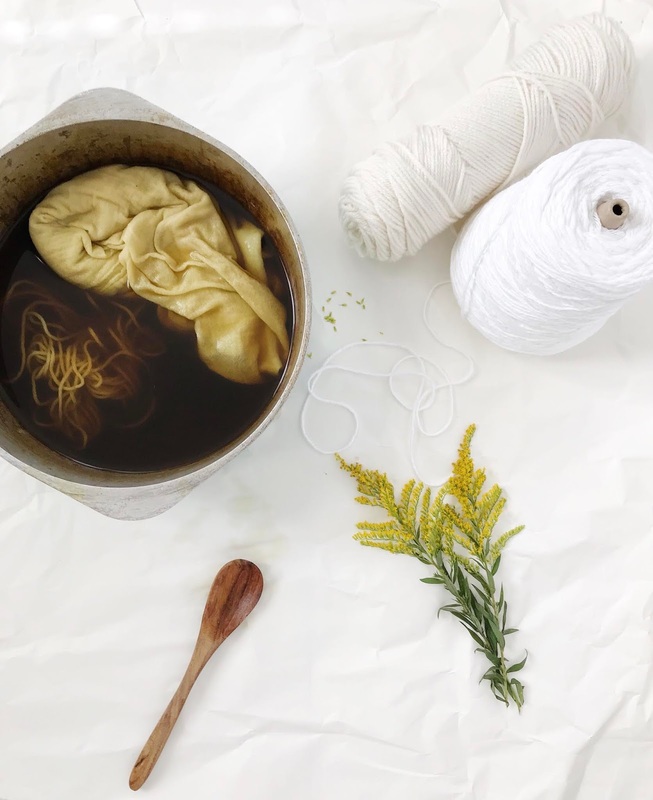 You can check out my favorites on my blog, Ladyface Blog! I hate pineapples but I LOVE that pineapple swimsuit cover! So fun! I love fruit prints. That wood play food fruit set is awesome! I need a little kid to give it to! Those watermelon vans!!! TO DIE FOR!